Domaine Fontanel is a small gem of an estate located in the Cotes du Roussillon. Pierre Fontanel is a grower/winemaker who is meticulous thoroughout every stage of the grapegrowing and winemaking process. 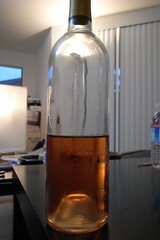 This fabulous dessert wine is made from 60-year-old grenache blanc vines. It is wonderfully complex, thoughtful and hedonistic, displaying a classic rancio nose along with carmelized nut, dried flowers, and a light but elegant spice. 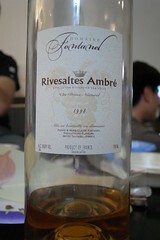 This wine is stunning served after a meal with a cheese from the area such as Ossu Iraty and roasted almonds! 16% abv. 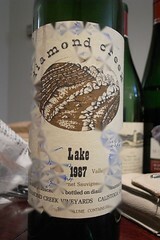 A fruity, structured 100% Merlot form the same York Creek Vineyards made famous by Ridge. A small production beauty you shouldn't miss. The 2005 Keefer Vineyard Pinot Noir opens with an intriguing, tell-tale Clone 23 nose that seems to change ever so delicately each time you smell the wine. 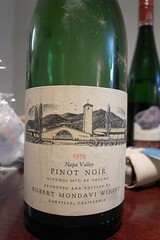 There is plenty of acidity to go along with some wonderfully spicy fruit on the palate. 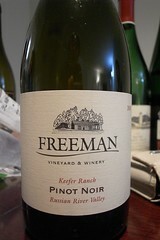 In many ways, the ’05 Keefer is remarkably similar to Freeman’s 2004 version, but with less new oak in the nose and on the finish. We expect the ’05 Keefer to age gracefully for many years, but with its solid core of fruit, it can also be enjoyed at a young age. 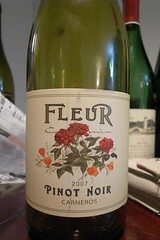 Fleur de California is our bright, fresh, charming, and flavorful Pinot Noir from Carneros. The brilliant ruby color sets the stage for aromas of ripe cherry and cranberry, with hints of white pepper and nutmeg. 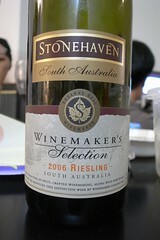 While dominated by effusive fruit flavor, the wine is soft, supple and rich in the mouth. 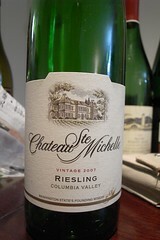 This flower of a wine may be enjoyed today, served cool, alongside an appetizer of pate & smoked salmon, with broiled Portobello Mushrooms with garlic or as an aperitif. 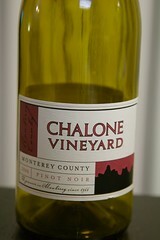 The grapes for Chalone's Monterey County wines come from distinct vineyards in the 75-mile long Salinas Valley, flanked by the Santa Lucia and Gavilan Mountain ranges. The mountains form a wind tunnel, sending cool ocean breezes up through the valley and blanketing it with early-morning coastal fogs; the weather, combined with the decomposed granite and limestone and gravelly loam soils, are ideal for cultivating hard-to-grow grapes like pinot noir. A nose of tart black cherries and raspberries punctuated by wood spice and bright red fruit and cola flavors make this easy-drinking, vibrant pinot noir a great everyday drinker. Enjoy often!